Nissan is trying to shake up the truck world with its newly redesigned Titan pickup line this year, and now it’s taking an even bolder step by making its warranty the longest in the industry. The 2017 Titan and Titan XD are covered by what Nissan calls “America’s Best Truck Warranty,” a bumper-to-bumper policy for five years or 100,000 miles, whichever comes first. The company made the announcement on Aug. 15. To be sure, this strategy — launching new products backed up by longer-than-typical warranty coverage — isn’t original. Korean brands Hyundai and Kia have used the same tactic to help them increase market share and set sales records in recent years, with their bragged-about warranties directly attacking the perception that Korean cars have lower quality than their competitors. As a Japanese brand, Nissan hasn’t struggled with the same quality questions as Kia and Hyundai, but its truck sales numbers have nonetheless remained a tiny sliver of the Ford, General Motors and Ram pickups that dominate the American market. Nissan hopes the onslaught of new and improved trucks — which are more capable and vastly more refined than their predecessors — coupled with the best-in-class warranties can change that. After driving the new Titan and Titan XD, I don’t have any doubts about their quality or performance, including on the newly released 5.6-liter Endurance V8 gasoline engine. The Nissan Titan and Titan XD are not only all-new products this year, but they’re also backed up by the longest warranty in the pickup market. 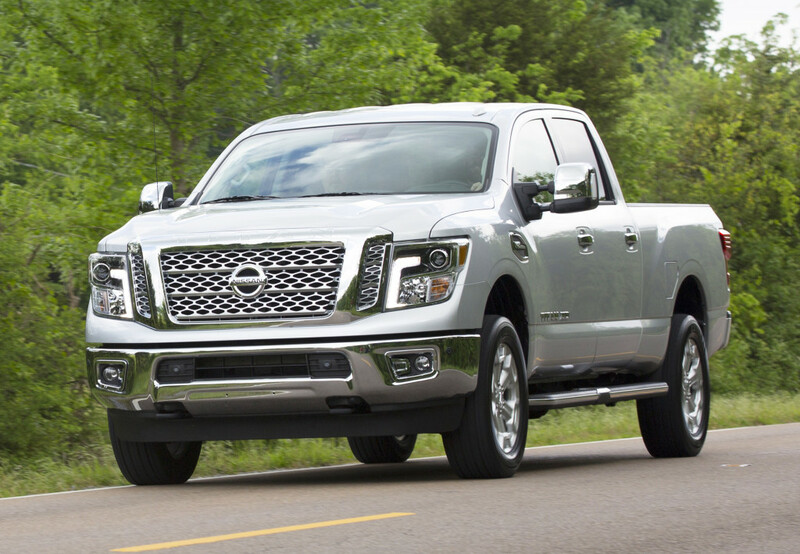 Nissan just announced a five-year, 100,000-mile warranty for the trucks. While the Cummins diesel-powered truck makes gobs of low-end torque for towing, the gas V8 is no slouch, either. In fact, I thought it offered even more of an off-the-line kick than the diesel did, enough to make the huge Titan XD feel sprightly and the lighter Titan feel like a rocket. Nissan elected to launch the not-quite-heavy-duty Titan XD first, in late 2015, and now the standard Titan is hitting the market to satisfy more meat-and-potatoes buyers. I drove the V8-powered Titan XD at home in Texas and the new Titan at its press launch in California, and the differences between the two are striking. The XD, with its larger frame and stiffer springs, drives more like the work truck that it is, compared with the half-ton Titan that feels downright cushy in comparison. 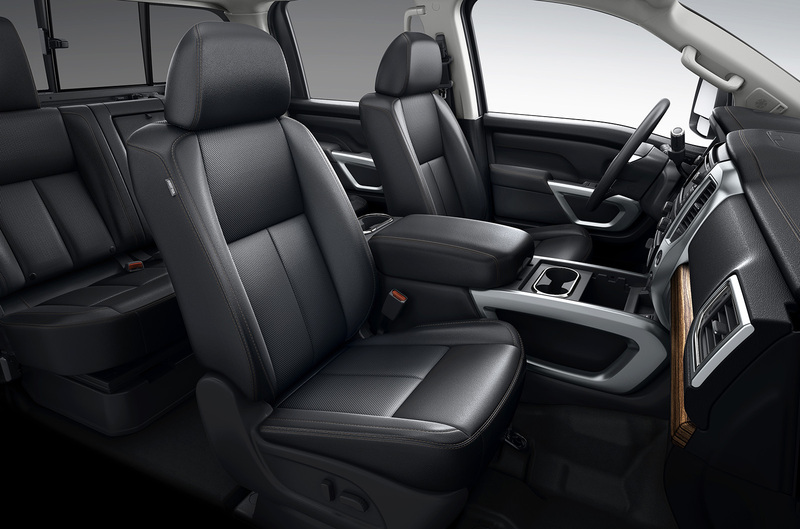 Its soft ride and silent cabin — one of the quietest on the market — make it a joy to drive on the highway. The cabin in the new Nissan trucks is surprisingly refined and quiet, including in the built-for-towing Titan XD, shown here. In both trucks, the Endurance V8 is a masterpiece, with 390 horsepower and 401 pound-feet of torque to make it powerful enough to do tough jobs but also responsive to throttle input. With direct fuel injection and variable valve timing, it checks all the right boxes to get decent fuel economy, at least by big, powerful pickup standards. Unfortunately, government mileage ratings haven’t been released yet for the Titan, so that’s purely a guess at this point. Pricing starts at $34,780 for the Titan and $36,290 for the Titan XD when equipped with the 5.6-liter V8. A powerful gasoline V8 engine makes Nissan’s newly designed Titan and Titan XD pickups even more appealing. It’s far more refined and capable than before, with the longest warranty period of any pickup brand.